Summary: By coincidence, today’s reading for the Saint Paul Lutheran High School chapel service was a portion of the epistle for the coming Sunday. The challenge was to preach the text (which strongly focuses on sanctification) while still preaching Christ and the full and free forgiveness we have in Him. To merely pound home the content of these verses would mean a near total emphasis on the demands of the Law. To ignore the content would mean dismissing these divinely inspired words of Saint Paul. The solution was to apply the sacrifice of Jesus Christ to the hearers as His gift to them. They, in turn, are freed by His forgiveness to sacrifice themselves to Him — and to their fellow man — in their “spiritual worship” as they live out their vocations in faith toward God and love to each other and to all people. Our hearts and minds, our lives and breath. In one accord we gather here. As varied notes in one great song. 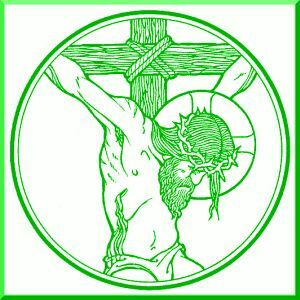 Audio: Click to hear MP3 of Your Spiritual Worship, preached to the students, faculty, and staff of Saint Paul Lutheran High School, Concordia, Missouri.